This newest Profusion Zinnia winner is the fourth color in the single flower series to win the coveted AAS Winner award. 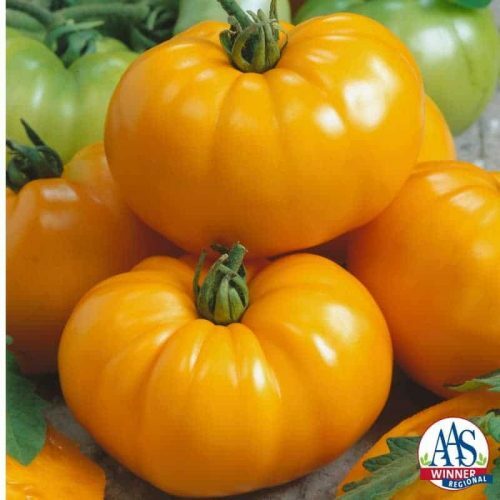 The original Profusions were ground-breaking plants because of their compact form, disease resistance, early and continuous blooms all season long and ease in growing. 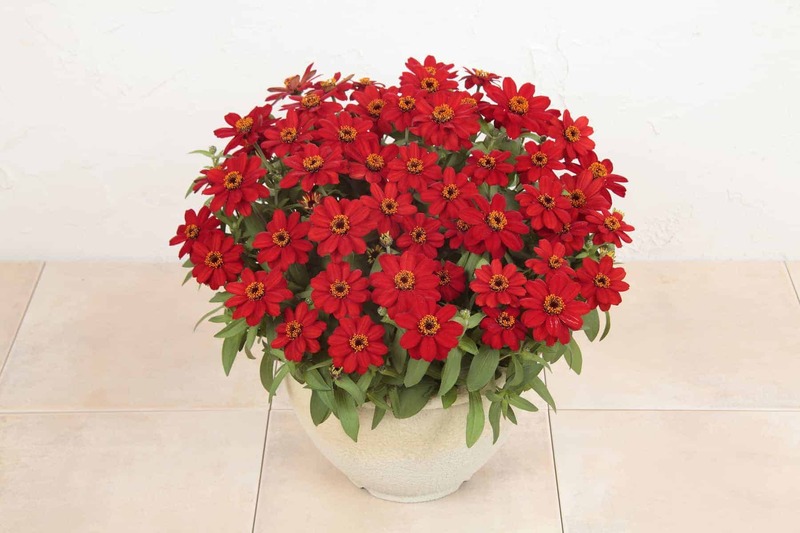 Judges raved about the vibrant, perfectly true red color of this zinnia which doesn’t fade in summer’s intense rays. 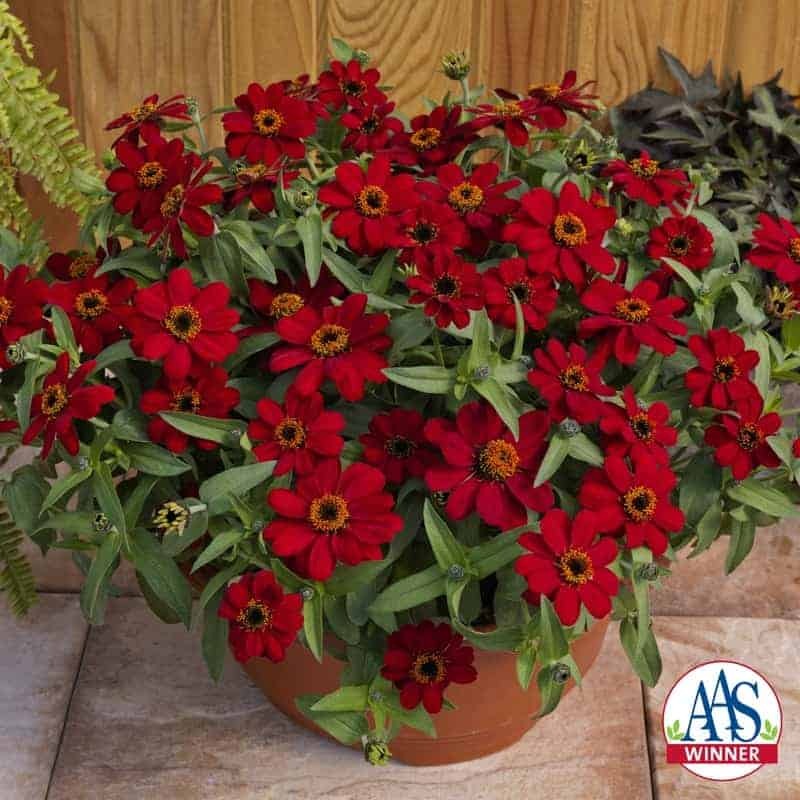 As one judge stated, “We have waited for years for this true red color in zinnias!” Gardeners will find many uses for the true red zinnia that’s easy to grow and a favorite of pollinators. Uniform plants and outstanding greenhouse and garden performance will be especially important for growers producing Profusion Red for retail sales. Sow seed indoors under lights or in a greenhouse and use bottom heat to promote uniform emergence. Select a well-drained media and target a temperature of 75°F/24°C. Moisten the media prior to sowing and then sow the seed. Afterwards, apply a light cover of medium-sized vermiculite. Do not water in the seedlings following sowing or the day after sowing (keep the vermiculite dry). Then, water as needed to maintain uniform moisture. Seeds germinate in about one week. Seedlings may be transplanted into 4-inch/10 cm. pots or cell packs about 3 weeks after sowing or when roots fill the starter cell. Transplant outdoors after all danger of frost is past and the weather is warm and settled. 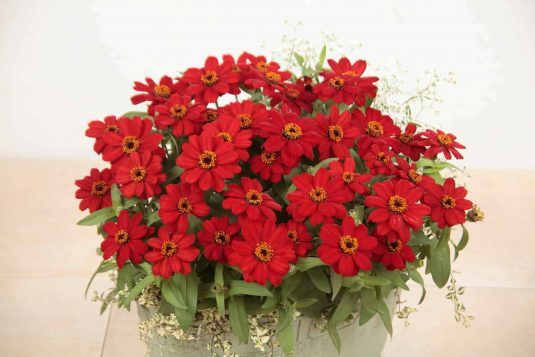 Zinnia Profusion will ultimately grow up to 14 inches/35 cm. tall and 24 inches/60 cm. wide. 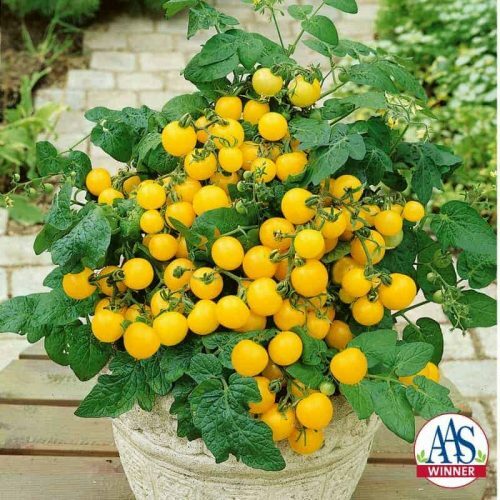 However, in cooler northern climates, with a shorter growing season, the plants often are smaller. 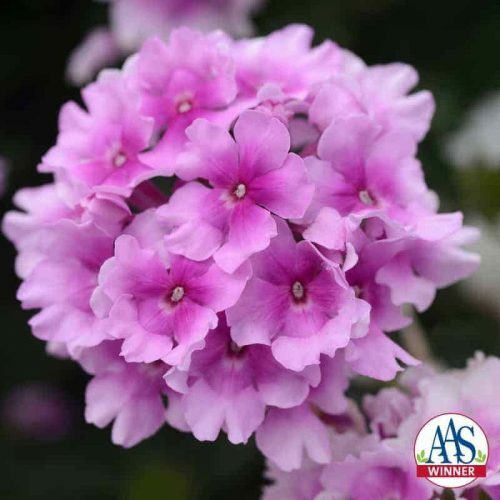 The Profusion Double series is highly disease tolerant, but cool temperatures (below 60°F/15°C) induces disease problems; especially under wet and rainy conditions. Poorly drained soil or overwatering induces root disease. 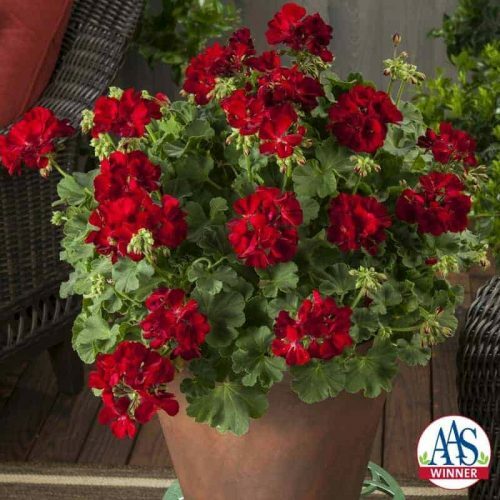 You can enjoy pretty flowers from summer to autumn.